Grabbing lunch at work can be a tough decision. With some much on offer in London you can spend half your lunch break looking, and not on the valuable eating! 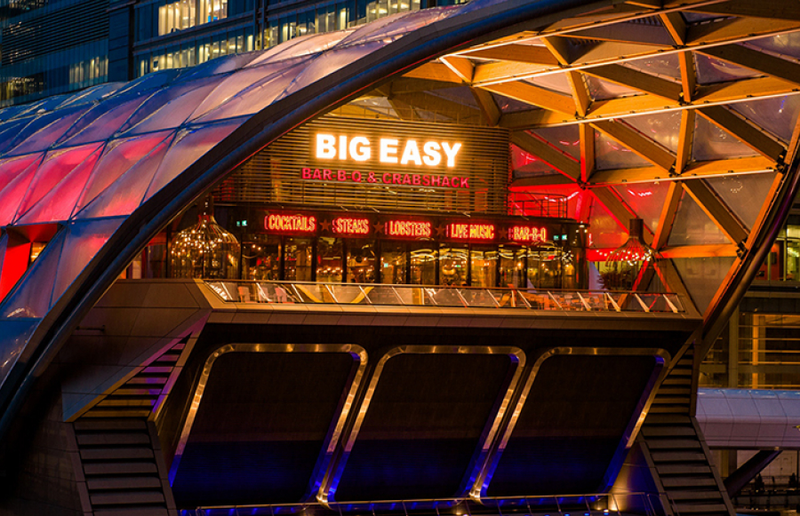 Well, The Big Easy in Canary Wharf are here to offer just what you need for a effortless tasty fill up. The BBQ and crab-shack offers an express lunch for £10 between 11:30AM – 2:30PM Monday to Friday. The Big Easy serves “low and slow” meat and seafood cooked in pit rooms that house two tonne US smokers. 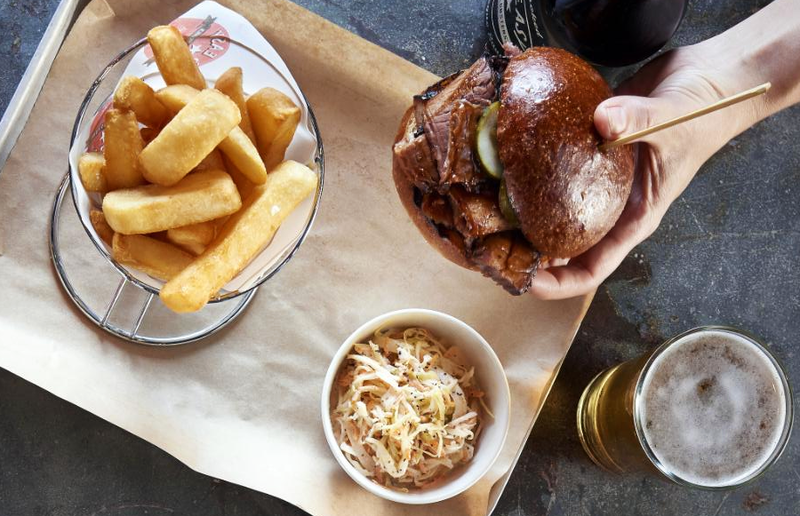 With sweeping views over Canary Wharf, the docked crab-shack is a great get away during the busy work day. Next pick a main, either Brisket Mac ‘n’ Cheese, Chicken Caesar Salad, Flat Iron Steak & Fries or House Side Salad. If you’re thinking more for dinner, the restaurant offers live blues music 7 nights a week and their Rum Lounge can be hired for parties of up to 100 guests! Visit The Big Easy, Upper Level 1, Crossrail Place, London, E14 5AR.